OTTAWA -- Miriam Joyce Seitz, 100 of Ottawa passed away Thursday, August 24, 2017 at Hilty Home, Pandora. 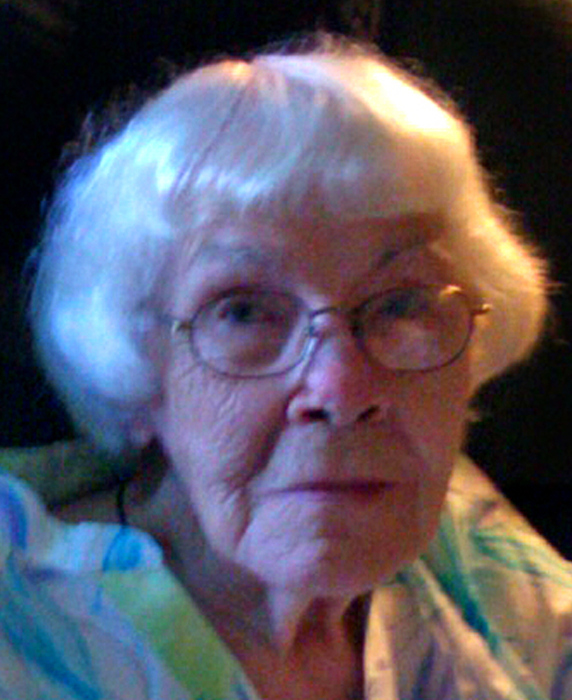 She was born November 22, 1916 in Plain City to the late Thomas and Minnie (Alwood) Kilbury. On October 1, 1938 she married Carl N. Seitz, who died January 31, 1992. Shi is survived by six children: Philip (Phyllis) Seitz of Hale, MI, Laura Coburn of Pandora, Keith (Lois) Seitz of Tamassee, SC, Paula (Roger) Harper of Hamler, Martha (Michael) Erchenbrecher of Ashville, Timothy (Martha) Seitz of Richmond, VA; daughter-in-law: Rita Seitz; fourteen grandchildren: Rebecca (Joe) McKee, Susan Seitz, Mark (Robin) Seitz, Anne (Steven) Coburn-Griffis, Andrew (Jennifer) Seitz, Jonah (Sadia Ali) Seitz, Rachel (Miguel) Rios, Brian (Taryn) Erchenbrecher, Sarah (David) Fryling, Megan (Corry) Clinton, Erin (Brandon) Fitch, Neil Seitz, Christopher Seitz and Charles Seitz; and 28 great-grandchildren: Caitlin and Thomas McKee, Samantha, Sean, and Martine (Jr.) Bickety, Reagan Taylor, Olivia and Garrison Seitz, Rowan Coburn-Griffis, Evie and Robbie Seitz, Holly, Matthew, Abby and Emma Nelson, Carl and Jon Basinger, Damien Seitz, Khaleb Tucker, Mason and Myles Seitz, Michael and Dylan Rios, Eleanor Erchenbrecher, Cole and Teddy Fryling, and Henry and Lucy Clinton. Joyce was also preceded in death by two sons: Carl T. Seitz and Dennis Seitz; son-in-law: Gerald Coburn; her siblings and their spouses: William (Cleo) Kilbury, Louise (Donald) Wogaman, Imo (Donald) Eyssen, and Beulah (James) Lombard and brothers-in-law and sisters-in-law: Harold (Maxine) Seitz, Everett (Anna Mae) Seitz, Lillian (Howard Devore, Michael) Nape and David Seitz. Joyce graduated from Plain City High School and Bowling Green State University. She was a homemaker and, for a time, a substitute teacher for Putnam County Schools. She was a member of Riley Creek United Methodist Church and the United Methodist Women. She treasured memories of her childhood on the banks of the Big Darby near Plain City and long country drives with Carl and the kids. She was a master cook and baker of bread and pies and loved the farm, reading, crossword puzzles, animals, crocheting, cooking for family gatherings and traveling to visit family. Her family and friends will remember her gentleness, kindness, and unconditional love, her creativity, her subtle sense of humor, and her adventurous spirit that culminated in a Riley Creek United Methodist picnic hayride two weeks before her death. A Celebration of Life will be held 11:00 a.m. Monday, August 28, 2017 at Riley Creek United Methodist Church southeast of Ottawa, with Rev. Duane Kemerley officiating. Visitation will be from 2 to 8 p.m. Sunday at HEITMEYER FUNERAL HOME, Ottawa and again for one hour prior to the service at Riley Creek United Methodist Church. Memorial contributions may be made to Hilty Home or Riley Creek United Methodist Church. Online condolences may be expressed at www.heitmeyerfuneralhome.com.